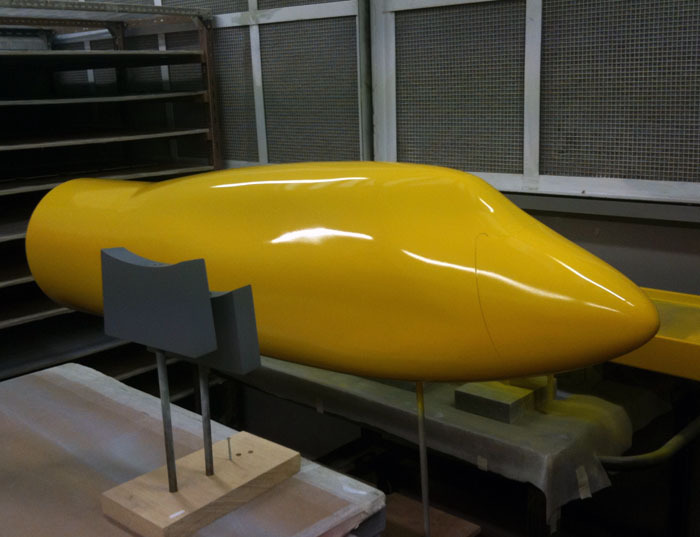 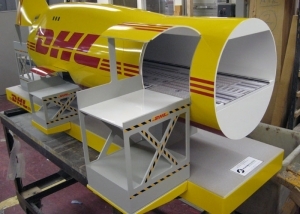 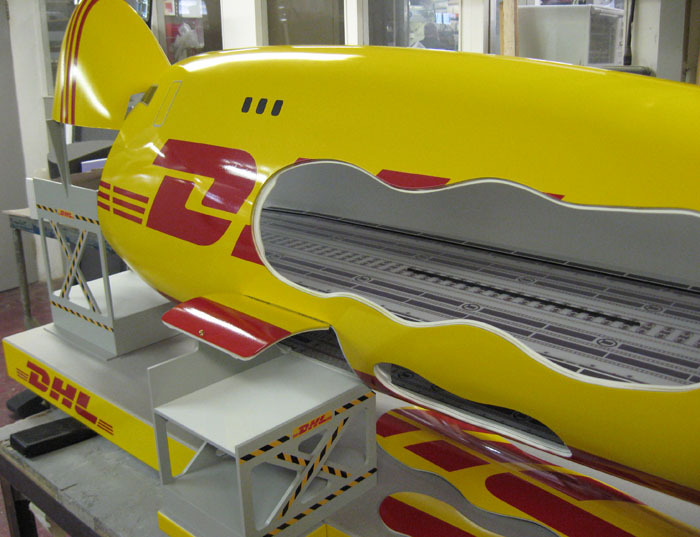 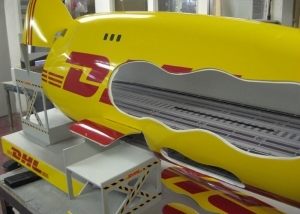 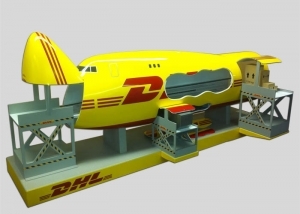 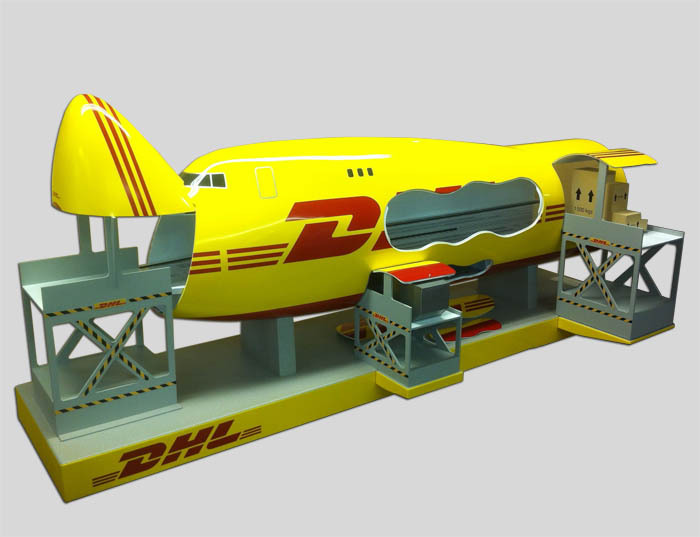 DHL Global approached Mastermodels with an idea to create a working model that could help ground crews load one of their Boeing 747’s accurately and efficiently. 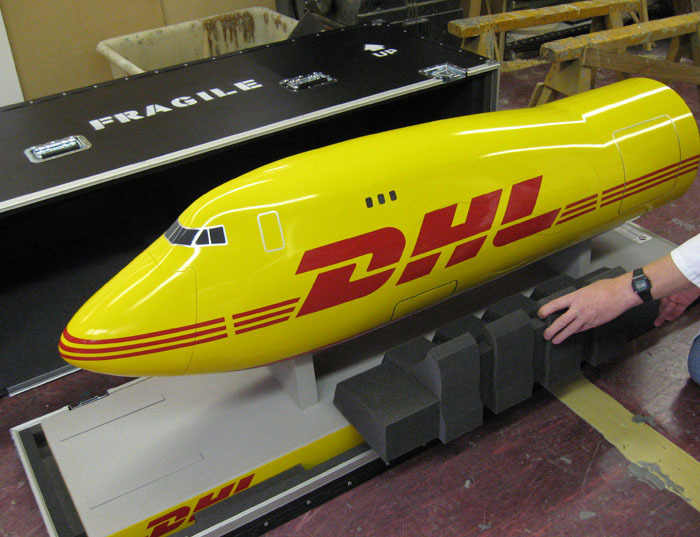 The model was made hollow with various cut-outs so that the perfectly scaled cargo could be positioned within the plane. 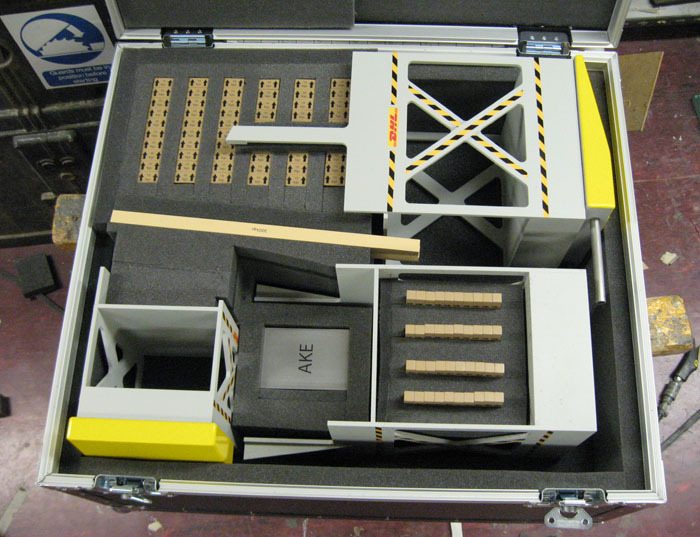 The cargo was magnetic to allow the various pieces to be stackable. 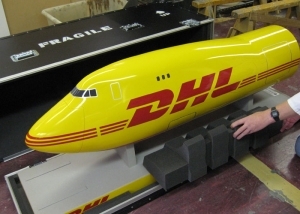 The nose of the 747 model needed to have the ability to be raised as with the real aircraft to demonstrate front loading. 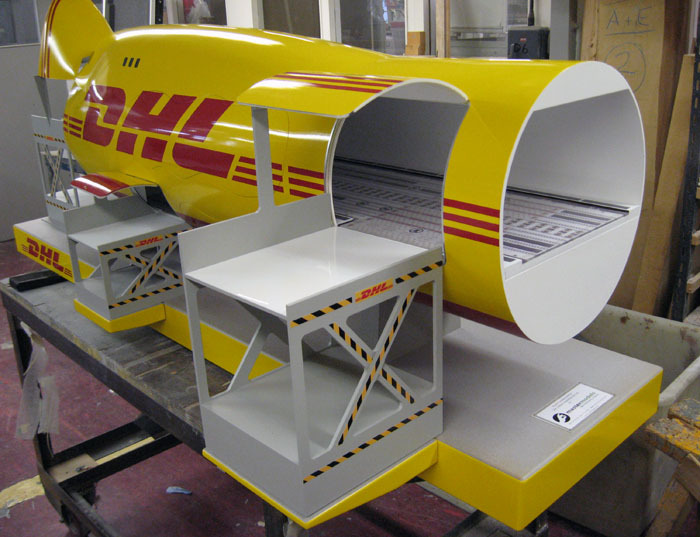 Various cargo systems such as scale AKE boxes and PGA heavy duty cargo pallets were also created. A high quality paint job and custom graphics finished this model off. 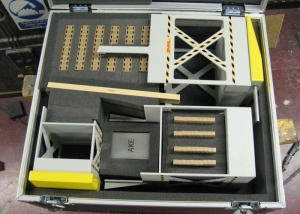 Transporting a delicate model can be tricky, so Mastermodels created one of their custom packing boxes so that the model and its various components could be transported around the world safely.